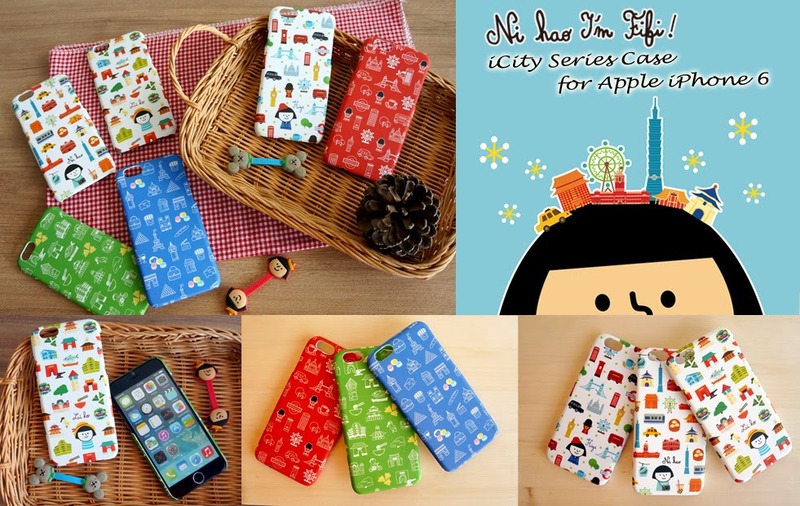 Taipei, Taiwan – FZtech is pleased to introduce Ni Hao I’m FiFi’s new collection of iCity series protective case for Apple iPhone 6 – iCity Series: Taipei, Paris, London, and Tainan. The case is made of high quality ABS with 2-layer surface coating, offering premium protection for Apple iPhone 6 against impacts and scratches. There are 6 designs included in this launch that stick to the theme of city tour. It contains previous design including Hiya London (Color & Red), Bonjour Paris (Blue) and Nihao Taipei (Color). Moreover, there is a brand new City design – Niho Tainan! “Niho” is a way saying hello in Taiwanese. Tainan city is the cradle of Taiwanese development with precious historical and cultural assets, making its long history. The city features more than 130 historic sites, building and museums. Moreover, the food of Tainan is famous all over the country. It is also the hometown of our illustrator Yating Hung. She drew her most inspired city elements of Tainan in this design, including the historic building Chihkan Tower, Confucius Temple, Anping Fort, Eternal Golden Castle, Koxinga Shrine, Old Lin’s Department store, Shennong Street, Sword Lion and Old Weather Bureau building etc. In terms of the famous foods, it includes Rise Dumpling, Danzai Noodles, and Salted Fish Congee. They are our designer’s favorites! The series is made of plastic with 2-layer surface coating which is extremely durable, making it anti-scratch, anti-dust and non-slip. Weighting only 16g, the collection is lightweight, portable and ultra-slim. It covers iPhone 6 perfectly and tightly in back and edges, offering comprehensive protection. The iCity series will available in Taiwan, Singapore, and Thailand soon. FZtech welcomes global distributors, retailers, wholesalers and agents to bring the products worldwide. For more information please visit FZtech and Ni Hao I’m FiFi’s websites.